Record keeping is essential for transferring knowledge from one generation to the next. In the 17th century, Italian masters produced violins and established techniques that resulted in their instruments’ stunning design and impeccable musical tone but, unfortunately, they disregarded the importance of recording their knowledge on paper. Masters of that era believed in transferring knowledge orally to their apprentices, resulting in scant records about the methods for producing musical instruments. 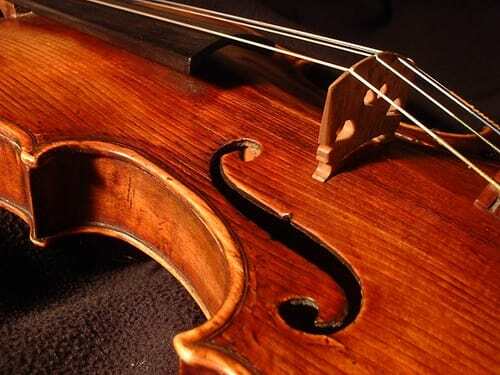 Giacomo Fiocco, an affiliate of the Pavia and Torino Universities in Italy, developed a new method using 3D scanning to help determine the techniques and materials that ancient masters used for the overlapping finishing layers of a violin. Fiocco’s study will help scientists to reproduce the original multi-layered coating methods by generating morphological images that will reveal the chemical nature of the coating. Fiocco and his team used the Elettra Sincotrone Trieste synchrotron, a beam of accelerated particles that produces a high flux of radiation spread over a spectrum that spans from infrared to hard X-rays. They used the synchrotron to apply a 3D scanning method called Synchrotron Radiation micro-Computed Tomography. The first step the scientists performed was to prepare two sets of mockups, copying the finishing layers of the ancient instruments, which they scanned with an X-ray beam to optimize the 3D scanning settings, thereby determining the 3D reconstruction parameters. The second step involvedincorporating a fragment removed from a damaged cello made by Italian luthier Andrea Guarneri. The last step required the researchers to compare the results of the micro-invasive analyses of the varnish and virtual slicing. The micro-invasive analyses of the varnish helps to evaluate the merits of the reconstructed volumes while virtual slicing helps them to probe the complex structures. For more musical engineering, check out Italian Composer Writes Music for Robotic Orchestra.